So much happens each and every week, and it’s hard to keep up sometimes. Here are some of the tabs that are open in my browser this morning along with some random thoughts…. I was sitting in The Main Street Café in Visalia, CA having breakfast with my brother when I saw the sign below hanging on the wall. Perk ‘Em Up….would make a great name for a coffee shop, no? Just in case you were wondering, the staff was great, but the food was mediocre. The pancakes weren’t very good at all. No flavor. Bacon was good though. Cinderella (2015) was #1 at the box office last weekend. It did better than I expected. It pulled in a cool $67.9 million on its opening weekend. Don’t expect Cinderella to remain #1 for long as Insurgent, the second installment of The Divergent Series hits box offices this weekend. I don’t expect Insurgent to crush any box office records, but with an expected 50% drop off from Cinderella it should make enough to take over the #1 spot. I Googled “best coffee houses in California” Friday, and the item that appeared at the top of my search results was the “Old California Coffee House & Eatery in San Marcos”. Hmm. Curiosity got the best of me so I followed the link. “Old Cal Coffee & Eatery is San Marcos’ oldest coffee house. We are a cool comfortable hangout with consistent drinks that you can count on, amazing food and the friendlies staff in town. We serve up morning scrambles, acai’ fruit bowl, fresh fruit, bagels & homemade pastries. We open at 7 am and serve the entire menu all day.” Sounds pretty good, and it just so happens that I’ll be down in that area the first week of April. Well, March Madness is underway, and that can only mean one thing….a lot of good TV time is going to be taken up by college basketball. I don’t care for March Madness. I’m not a basketball fan. On the other hand, my wife likes to watch the games, especially when a PAC-12 team is involved. As expected there have been a few upsets, but I don’t think the final outcome will surprise anyone. Don’t expect some relative unknown to take this year’s tournament. Medium: “It is tempting to see this as the triumphant rise of the shitphone. But nothing from shitworld ever really rises, it just reaches up at whatever is above it and pulls relentlessly down.” – Brilliant summation of the state of a great many things. This is a really good article and well worth a read; funny, witty, and thought provoking. It’s long, but you won’t regret it. As smartphones become a commodity, the market for less expensive feature phones will continue to grow. I’ve considered buying a less expensive phone and foregoing a carrier contract. Speaking of phones, I recently upgraded my Samsung Galaxy S5 to Android 5.0, a.k.a. Lollipop. Sure, there are some minor improvements to the UI, but the overall performance of my phone and battery life have suffered dearly since the upgrade. My phone is buggy. It lags, drops calls, overheats, and the battery lasts half as long as before. This is completely unacceptable. I don’t know who to blame, but I have to think it’s either Verizon or Samsung. Regardless of the one responsible, they should be eviscerated and hung from a pole to die a slow, agonizing death as a warning to anyone else who thinks it’s ok to do this to a $500 flagship feature phone. My phone has become such an anchor that I will be spending some time next week “repairing it”. I’ve done a little research and there may be a way to put it back to KitKat. If that doesn’t work I’ll be rooting my S5. Stay tuned. Controlled Environments: “By using a combination of ultrasound, gold-covered particles and lasers, researchers from UC Santa Barbara…have developed a targeted therapy that could potentially lessen the frequency and intensity of [acne] breakouts..Using low-frequency ultrasound, the therapy pushes gold-coated silica particles through the follicle into the sebaceous glands…Once the particles are deposited in the target areas, lasers are aimed at them and, because the gold shells are designed specifically to interact with the near-infrared wavelengths of the lasers, the light becomes heat. The heated particles essentially cause deactivation of the sebaceous glands. The sebum, pore-blocking substances and particles are excreted normally.” – Nanotechnology just keeps getting cooler and cooler. Seriously, what’s not cool about gold particles and lasers? A friend and I were talking about RFID technology and security earlier this week. He sent me a link to the Zwipe MasterCared video below. Pretty interesting concept. IV bags often look alike. Many are the same size, they have the same color writing on them, etc. Little has been done by manufacturer’s to remedy the issue, but some third party compounding facilities have gone out of their way to improve the visibility and differentiation of medications in IV bags. There’s an interesting article in the March edition of The Journal of Patient Safety that looks at the effects of medication labels on selection error. The study found that by using redesigned labels on iv bags they were able to increase the percentage of time that study participants selected the correct drug. That’s a good thing. While the study didn’t have enough participants to pass muster, it’s certainly worth thinking about such a simple change to improve patient safety. The paper is open access and freely available in PDF format here. I record a fair number of television programs. Due to time constraints it’s not uncommon for me to be two, three, or even four weeks behind. I finally got around to watching the final episode of The Mentalist. I’ve enjoyed The Mentalist over the years, and I feel like CBS did a fine job with the final episode. I’m only sorry to see it go. There was a time when it was growing stale, but the writers managed to reboot the series last season, and this season turned out quite nice. Seven seasons is a pretty good run. In a year or two I’ll start the series again from the beginning. WT VOX: “Huawei debuted its first smartwatch Sunday…with an Android Wear-powered model designed to look as much as possible like a classical round-face timepiece…It supports the standard features of Google’s watch operating system – handling phone call alerts, checking email, receiving calendar prompts…Its AMOLED screen is circular with maximum width of 400 x 400 pixels and resolution of 286 pixels per inch. Huawei will supply 40 watch face looks for the screen, including plenty of analogue-watch looks and one with a moon-phase display.” – Nice looking Android smartwatch. There’s something about a round face on a watch that I’m drawn to. Square watches look so, well, square. 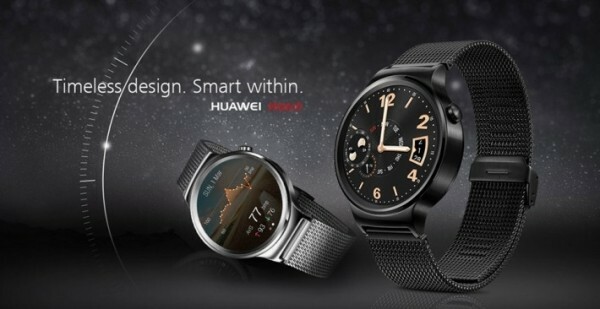 According to the article, the Huawei Smartwatch will be available sometime in mid-2015. No pricing details were available. My dad has been in the hospital for a while. He had emergency open heart surgery a while back and has had some post-op complications. The other day I walked into his room and saw aztreonam hanging on the IV pole. Hmm. Aztreonam is a monobactam antibiotic with selective activity Gainst gram-negative aerobic bacteria. It has no activity against Gram-positive bacteria. Its mechanism is similar to the cephalosporins, i.e. it interferes with cell wall synthesis by binding to penicillin-binding proteins. When considering its value I’ve always thought of it as one half of ceftazidime. I don’t often find value for its use. Perhaps in patients with a penicillin allergy? Aztreonam lacks cross-reactivity in patients with a penicillin allergy. My dad doesn’t have a penicillin allergy. In fact he was on “Zosyn” for nearly three weeks. No one I asked could tell me why they decided to use it. Just another item in a rather long list of questionable decisions by the physicians at this particular hospital. Wired: “Last week, the FDA released new guidelines for “reprocessing” medical devices—which is to say, sterilizing them between uses—in an effort to cut down on infections. But in the process of unveiling its new rules, the agency revealed that it hadn’t been reviewing manufacturers’ tests to ensure that the gadgets could be cleaned and disinfected between patients.” – The fact that the FDA has been laxed in its efforts to ensure manufacturers’ were doing the right thing seems concerning. Just ask the patients down at UCLA Medical Center that developed carbapenem-resistant Enterobacteriaceae from an improperly sterilized duodenoscope. Shouldn’t people feel safe when they’re in the hospital? Yes, they should. In reality people fear what can go wrong in a hospital. I know I do. I can only hope that my family scrutinizes everything that’d done to me should I ever end up on my back in a hospital. And for the record, please don’t allow me to be hospitalized here in the Central Valley. I can’t think of a single hospital within a 100 mile radius of my home where I’d feel safe. I’m thinking about getting a new Chromebook. Any recommendations? Either that or another Windows 8 tablet. There’s quite a lot of great options out there at that moment. Windows Blog: “I’d like to introduce you to Windows Hello – biometric authentication which can provide instant access to your Windows 10 devices. With Windows Hello, you’ll be able to just show your face, or touch your finger, to new devices running Windows 10 and be immediately recognized.” – Pretty slick. I like the idea of simply having to show my fact to my computer to log on. Ugh, I’m going through football withdrawal. It gets bad this time of year as I’ve been without a real sport for quite some time. NFL Kickoff 2015 Weekend will begin on Thursday, September 10. Unfortunately I’ll have to wait almost as long for college football to start. The Chick-fil-A Kickoff Game to open the season will pit Louisville against Auburn in Atlanta on September 5. Not exactly a game worth watching, but it’ll have to do. They really need to find a way to offset the NFL and college football seasons so that I can have at least 10 months of football each year. This gap between seasons simply won’t due. Maybe I’ll take up shooting again. I haven’t been to the range in ages. As of today it looks like we’re 167 days out. Ugh.